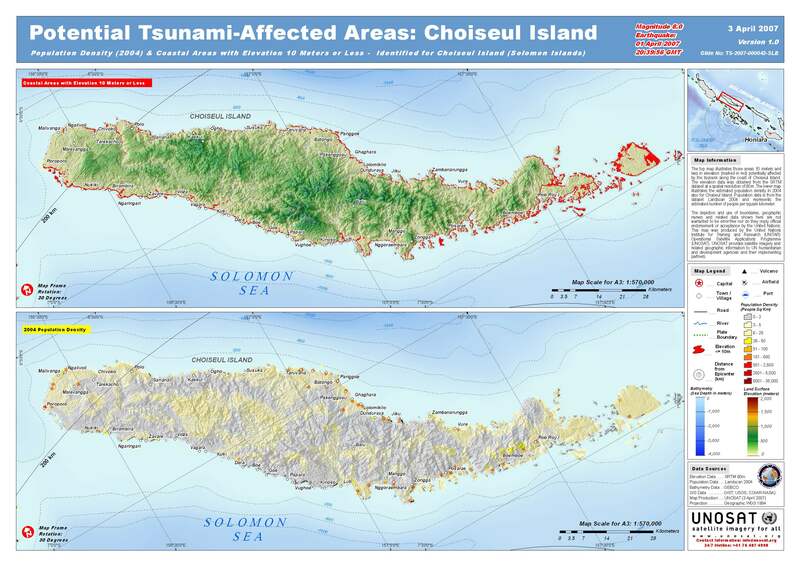 The top map illustrates those areas 10 meters and less in elevation (marked in red) potentially affected by the tsunami along the coast of Choiseul Island. The elevation data was obtained from the SRTM dataset at a spatial resolution of 90m. The lower map illustrates the estimated population density in 2004 also for Choiseul Island. Population data is from the dataset Landscan 2004 and represents the estimated number of people per square kilometer.